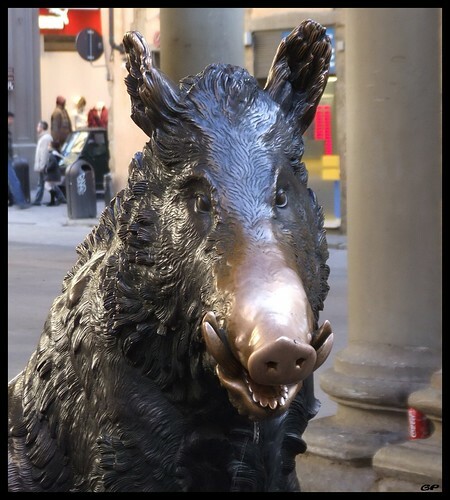 La “Loggia del Porcellino” – that means literally “The lodge of the piglet” – it’s a 16th century lodge, located just in the way between Piazza della Repubblica and Ponte Vecchio. As we can understand from its official name, “Loggia del Mercato Nuovo”, its function was – and still, is – the sale of goods. Walking there, you will be captured by the thousands of colours of the exposed bags, scarves and lots of other things. This place of interest can of course be included in one of the Institute Galilei’s guided tours of Florence. Good luck, then!